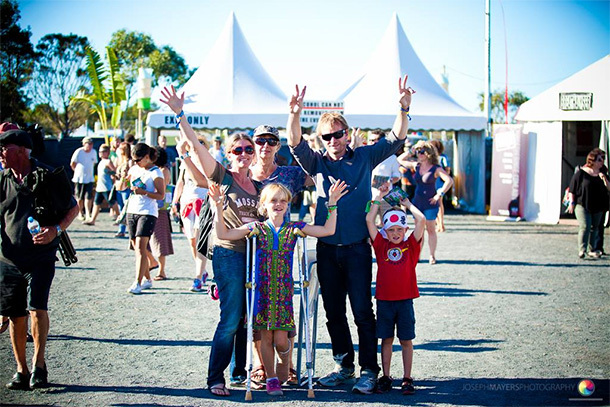 Please let us give you a few guidelines to ensure you have a wonderful Bluesfest experience. 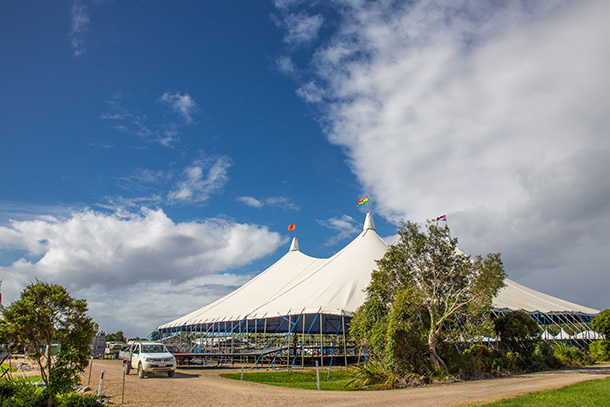 We are close to completing the Festival set up and the Bluesfest site is looking truly amazing, even after the recent weather events, as you can see by the pictures. This is our absolute favourite time of the year and we can't wait to celebrate this Bluesfest with you! This e-card is jam packed with info for you - from how to get there, what to bring, but also info about all the food and market stalls on site and so much more. It's all happening and the Bluesfest buzz is certainly in the air! Don't buy your tickets off other people/sources, unless you know they are genuine sellers. If the tickets are cheap they are highly likely to be fraudulent and you will not gain access with them! If you have NOT got your tickets sorted yet and are reading this email, we strongly recommend that you buy them through Bluesfest now. We are experiencing a massive influx in ticket sales. Click here for Ticket prices! There will be limited tickets available at the Festival gate and via our website during the Festival, but they will be at an increased price. ALSO - Keep reading to find out how you can purchase heavily reduced 2018 Pre-early bird tickets at the festival!! If you are a camper, do bring along a can of insect spray just in case. Bluesfest is saying goodbye to drink tickets! Goodbye drink tickets! We are replacing the drink ticket system with a new payment experience - RFID (Radio Frequency Identification) wristbands that will take your festival experience to the future! Your RFID wristband gives you Festival access and becomes your digital wallet for all drinks purchased at any of our 7 Bluesfest Bars! Please do take a moment to read the following detailed information to make the very most of this great experience. 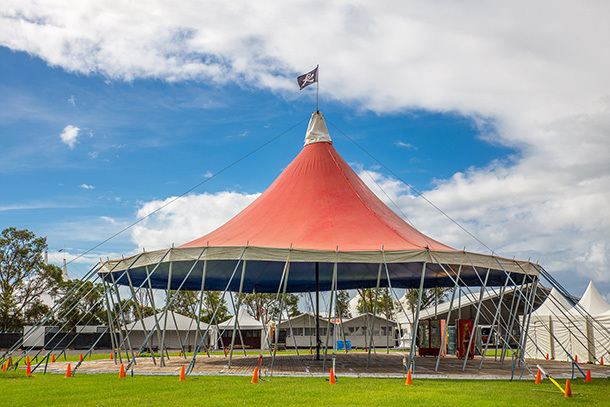 Bluesfest’s home is located on the Tyagarah Tea Tree Farm on the Pacific Highway between Byron Bay and Brunswick Heads. Check it out on google map below! There will be plenty of signage on the highway guiding you in the right direction. It will be hard to miss Bluesfest! Check out the Site Map below (and click to download the print-ready PDF). Coming to Bluesfest by car? Please make allowances for the traffic during the Easter period and please be tolerant & patient when leaving the car park at night. There is free car parking available on site. Please be patient when you are leaving the site after the night is over. Our traffic control staff will work on getting you out as fast and smooth as possible, but when there are a lot of cars leaving at the same time, delays will happen. Disabled parking is available for vehicles that have Government parking permits. Please take note of speed limits and watch out for wildlife – Drive safe! Overnight camping is not permitted in the car parks. Campervans are not allowed to park in car parks. To camp on site you must have the appropriate tickets. Please check you have the correct passes prior to your arrival to save time and avoid disappointment. All ticketing information is available on the website. 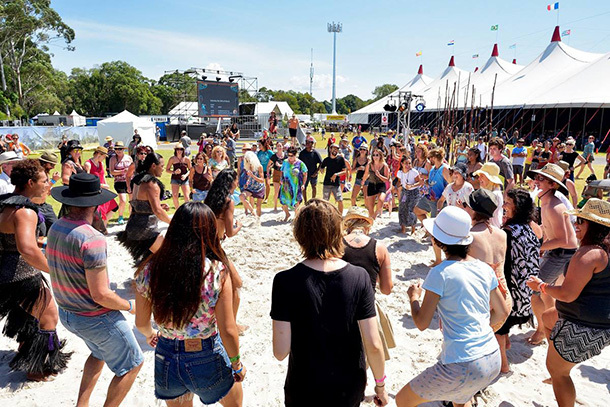 Blanch's Bus company will be offering shuttle bus services to and from Byron Bay, Lennox Head and Ballina. Please follow the link below for the full time table. Brunswick Valley Coaches will be offering shuttle bus services to and from Bangalow, Mullumbimby, Brunswick Head and Ocean Shores. Please follow the link below for the full time table. 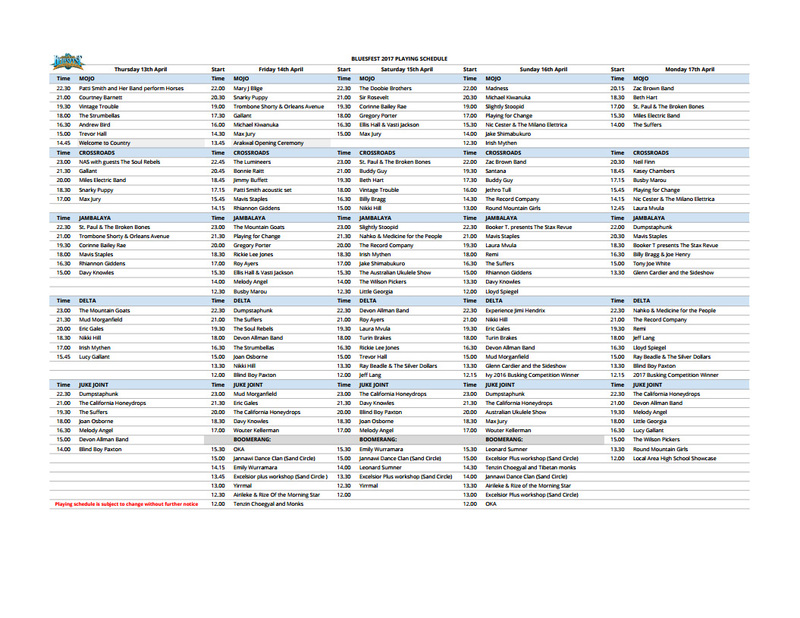 Up to 12 hours of music per day and so much to see & hear. Here are your opening and closing times! 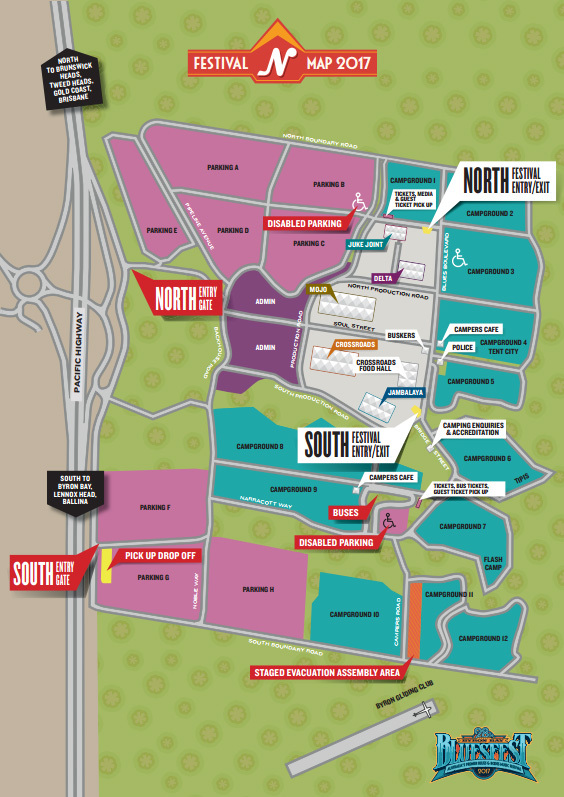 There are two entrances to the festival: North & South. The North entrance point is predominantly for day patrons travelling in cars. 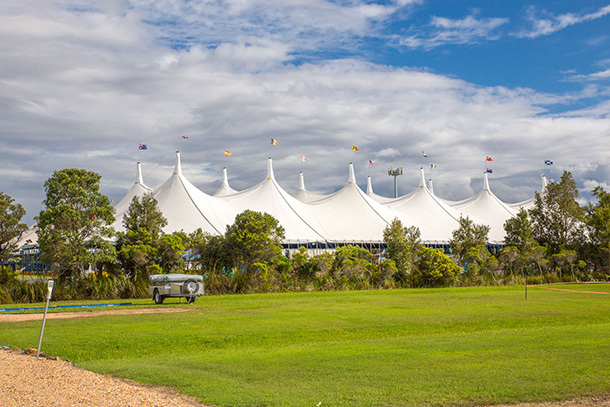 The South entrance is for campers, patron drop off, car parking, buses and taxis. There is disabled parking at both entrances. Please follow the signs and direction from our traffic controllers. Upon entry you will be fitted with a wristband representative of your ticket type and age. Take good care of your wristband. It is not transferable and once removed it will become invalid. You will be required to show your wristband to security on request. If you have not downloaded the FREE Bluesfest app to your android or iphone yet, wait no longer. You will be able to make the most of your Bluesfest experience with the free app, which allows you to browse through all Bluesfest and Boomerang artists. PLUS SO MUCH MORE - you are going to really appreciate having it! The cloakroom offers safe storage of items for a small fee, as well as phone charging services. Patrons under the age of 15 are welcome but must be accompanied by a responsible adult at all times. If they are aged 6-14 (inclusive) they require a children's ticket. All patrons wishing to purchase beverages from the bars must be 18+ and show photo ID (Valid Passport, Drivers licence or Photo Card). Bluesfest supplies disabled parking and viewing platforms for patrons confined to wheelchairs. Disabled toilets are located at all locations. Grab your iconic Bluesfest merch between the hours of 12pm – 12am from the merch shop and don't miss picking up your favourite CD from Bluesfest's own CD store! Check the board and side of stage screens for artist signing times as well! 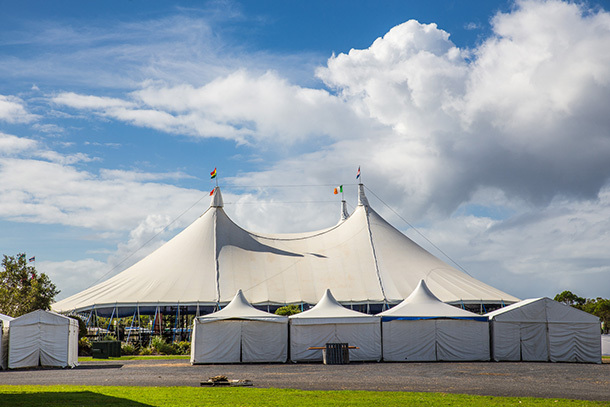 Five long-standing stages MOJO, CROSSROADS, JAMBALAYA, JUKE JOINT, DELTA and the BUSKING stage are back again – ready and raring to house Easter’s best party! ‘Refuse, Reuse, Reduce and Recycle’ is the Bluesfest motto that has won us many A Greener Festival awards! From 100% recyclable packaging used by stalls and suppliers, to the massive recycling production onsite, we are proud of our achievements and are always working on improving our recycling initiatives. We have an effective bin system throughout the site, and ask that you put all rubbish in its place. Bluesfest thanks you for your contribution to keeping Byron beautiful. It’s a team effort! 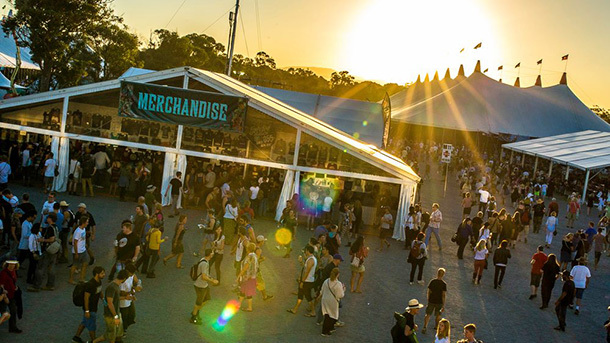 In accordance with NSW smoking laws, cigarettes will not be sold inside the festival. NO SMOKING inside festival tents. It is an offence. Please respect the comfort of others. Thank you so much for your co-operation. Yes, you can bring your own portable chairs but they are not permitted inside any of the tents for safety reasons. Fixed seating is provided behind the mixing desk for your comfort. Bluesfest allows all still cameras onsite! Yes we do, but no video or recording devices are allowed. Bluesfest Info is located next to the Buskers stage. Our friendly and knowledgeable crew are available to assist you with any queries you have. Grab your $$$ from the onsite ATMS, located near the CROSSROADS and MOJO stages. You are free to come in and out of the festival at any time during opening hours. 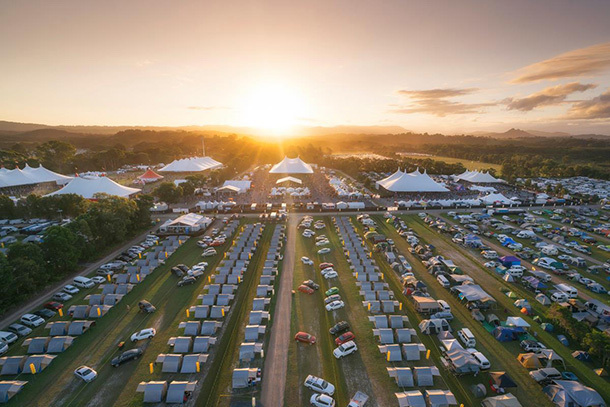 Those who will be staying on site in the beautiful green campgrounds need their camping ticket as well as a festival ticket to gain entry. 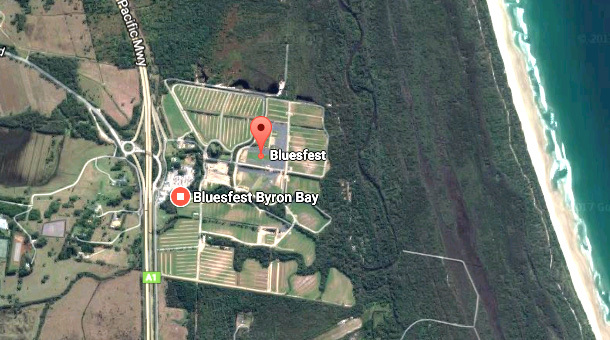 Please note that the Bluesfest campgrounds are not powered. Please refer to the camping information guide for more. The Campers Café is located in Camp Ground 4, and open from 6am for a hot breakfast and coffee. They have basic supplies such as bread, milk, ice etc. 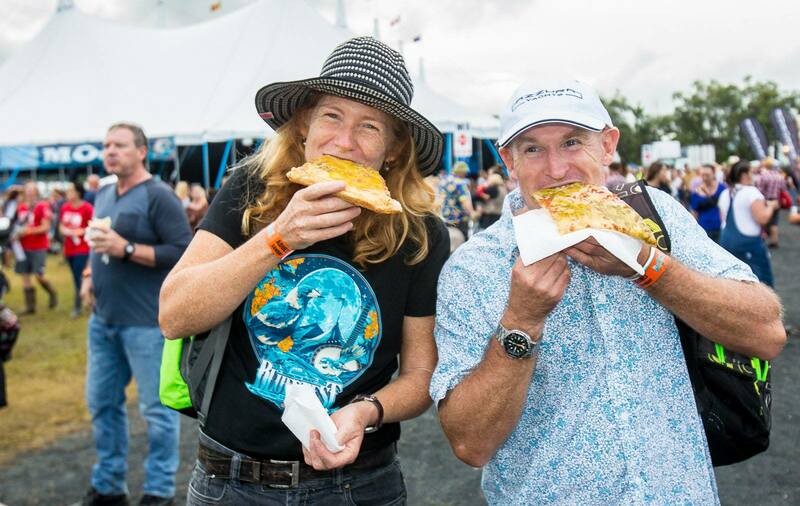 The Bluesfest Food & Market Stalls are legendary! Where else can you find Indian, Japanese, Turkish, Australian, Hungarian, Yemen, German, Israeli and Brazilian food with a variety of gluten and vegan friendly options within metres of each other? 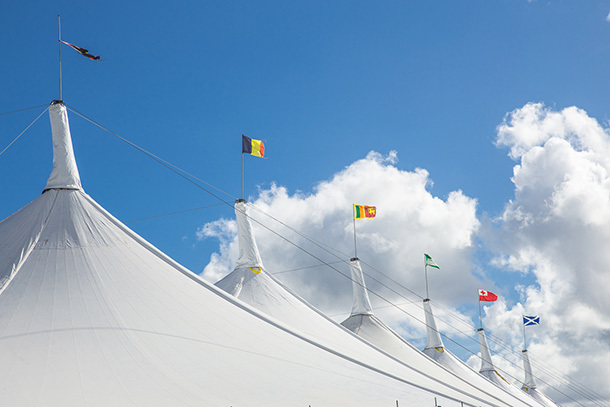 Stroll through an abundance of unique market stalls, drink your favourite drink at one of the multiple bars, or chill out in the food court or coffee tent. At Bluesfest nothing is far away and everything is close! Bluesfest also strongly supports an array of charities who are carefully chosen and very worthwhile your attention. Be sure to check out all the yummy food, market and charity stalls that will be represented at the Festival! Drug possession, use and/or supply are strictly not tolerated at Bluesfest. Drug detection dogs will be onsite; those caught will be charged. RBT & RDT patrols will be active on the surrounding roads and highway for the duration of the festival period. Please be aware that you are surrounded by wild flora and fauna. We ask that you respect the environment around you, and leave animals alone, and please don’t damage any flora whilst staying at the festival. There is strictly no driving or parking on any grassed areas. Please observe designated parking areas. Plastic, cans, cigarette butts and sharp objects all endanger native wildlife, so please dispose of rubbish thoughtfully. Tyagarah Tea Tree Farm’s Koalas, being arboreal marsupials, live their lives in trees. Koala survival therefore relies on responsible personal behavior. 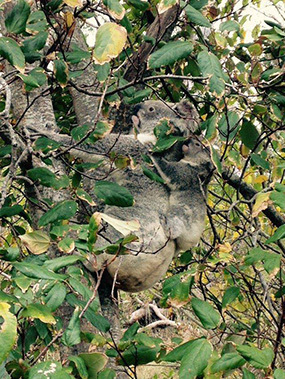 If you see a koala around the camping grounds or other event areas, please contact the Festival Hotline. And of course we have to add the daily artist playing schedule, because we are so stoked about the artists performing each day! That really is what it's all about. We will be handing out pocket playing schedules at the Festival! Yes, they are going to be on sale, right at the festival! Get in early and save yourself precious dollars on a 5-day pre-early bird pass for 2018! A very limited number of greatly reduced tickets will be available at the merchandise tent and at both the North and South gates. Make sure you get in early and save, this will be your ONLY chance to get your tickets at this discounted price!